It’s happened to us all – a week before payday there’s a domestic emergency, the boiler breaks down, the car gives up the ghost, or the bathroom floods. You need money fast, the savings have been used up already and there’s nowhere to go. Except that there is. You switch on the TV and see a plethora of adverts helpfully reminding you that you just need to go online or make one quick call and the money to cover your own particular little pressing need will be in your bank account. In some cases it’s there in less than an hour, and the problem is solved. Well, if used properly, and if the lender is reputable, it can be a solution. If you have the self-discipline and funds to pay the money you borrowed back on payday, there’s no problem. The problems begin when you don’t get around to paying the loan off straight away, and many of us can’t, or don’t. They may be touted all over the place but sensible people only use payday loans if there’s absolutely no other way of getting their hands on the cash, simply because they are a very expensive way of borrowing money and they are set up to almost tempt borrowers into not paying back loans straight away, thus incurring high charges and more debt. In addition to the expense, some lenders are less than scrupulous and you could end up in much more debt than you anticipated. One well-known payday loan operator was reported to the Information Commissioners Office – if you accepted the terms and conditions (which was mandatory to get the loan) you also agreed to share your information with third parties, which resulted in some people being inundated with junk calls, mail and spam. One researcher received 47 emails and several phone calls from claims management, payday loan and other similar companies in just a few days of making an application to one company, despite the firm assuring him that they didn’t share personal information. It makes payday loan firms more money if you don’t pay them back on time, so they won’t encourage you to do so. In fact one well-known company were shamelessly encouraging applicants to extend their loan as soon as they paid for it! Not only did the immediate on screen message pop up to tell the applicant about their option to extend FIVE times, they also offered to lend even more then next time the applicant logged on to their account. 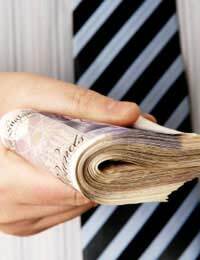 Payday loan companies will usually charge anything from £20-£35 for a small, short term loan. One of the most expensive offers on the market charged an APR of 4,394% which equated to almost £37 on a short term loan of just £100. If you borrowed the same amount on an authorised overdraft from your bank it could only cost a few pounds. The timings also make a difference…you really must look into the dates that your lender bases their repayment on. Some use your next payday as the official repayment date, and you could end up paying the same amount whether you borrow for two weeks or a whole month. One charged the same amount mid-month as they did at the beginning of the month, which meant that the APR came to a staggering 16,203%.It’s a sobering thought – a survey by debt charity Debt Advice Foundation (DAF) revealed that a frightening 41 per cent of people who said they were ‘struggling’ with debts said that it all started with ‘payday’ lending. The attractiveness of some payday loan companies is the fact that they don’t always run credit checks, so they appeal to anyone with a bad credit rating and those who are applying in the full knowledge that they are likely to have trouble repaying the loan. This means the people who can least afford it often end up with a long list of unpaid, unaffordable high-interest debts. If you’re dealing with anything to do with money, you’d be forgiven for assuming that the security on the website you use to apply for credit is secure. Not always the case, apparently. Some of the payday loan websites don’t have a secure https:// setting, despite the fact that you’re expected to give them your bank account, employer and salary information.